The CB125e is a popular entry level bike, ideal for beginners looking for their first two-wheeled companion as it's strong and dependable with easy handling. 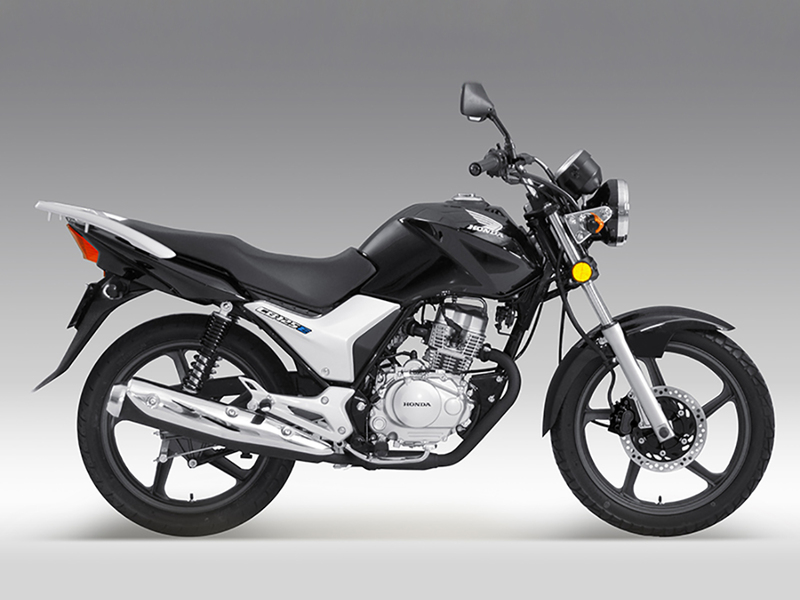 (LAMS approved) The CB125e is priced competitively and offers value like no other motorcycle in the Honda range. Perfect for learner riders, the CB125E is LAMS approved (learner approved) which makes it a great bike to learn on. Front disc and rear drum brakes will offer first time riders' confidence in braking at any speed while the low, comfortable seat creates a confident riding position for riders of all proportions.